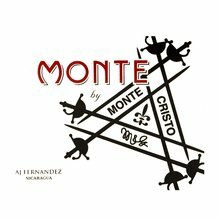 AJ Fernandez has been producing some of the most enticing premium blends of the past decade, and The Monte by Montecristo AJ Fernandez Robusto is another example of his amazing blending skills. This cigar features a dark and oily Ecuador Habano wrapper atop the finest vintage Nicaraguan Corojo '98 binder and a combination of Nicaraguan and Dominican filler tobaccos to deliver a smoke with hearty medium to full-bodied character and boundless complexity. Once lit, you will experience bold and fragrant notes of chocolate, roasted nuts, coffee, and an underlying caramel sweetness on the palate. 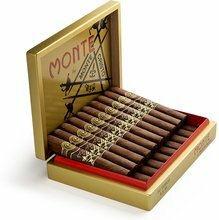 I really like both of the AJ Fernandez Montes, but I give this one the slight edge. Creamy, rich, flavorful. It has a nice buttery/caramel vibe and also burns very well. I have to agree with the other reviewer who noted the long burn time. To get an hour out of such a small cigar is impressive. I like these and the Coronas as well. Would def buy again. 5 stars. Great cigar, great pull, burns well, a little on the spicy side but flavorful. Really enjoyed this cigar, it was perfect in every category. It was a real slow-burner, lasting more than an hour, which is impressive for a 4.25” cigar. The smoke was thick and creamy and flavorful. I enjoyed this smoke smooth draw and good flavor throughout.